You’ve done the work to gain clarity around your brand’s core values, voice, and visuals. 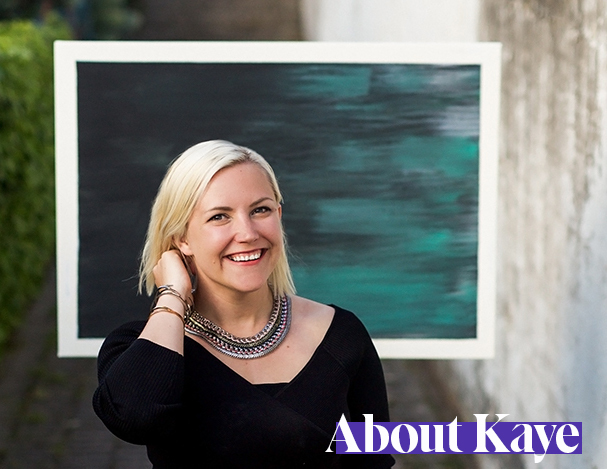 Now it’s time to commit to showing up in the world – to living your brand out loud. Because a brand exists only in the moments where it comes into contact with actual humans. If it’s tucked away on your hard drive or in your brain, it’s not a real brand yet. That’s where your visibility plan comes in. A brand needs to be shared to exist. And, it needs to be shared often and consistently to be memorable. Have you ever noticed that, when introduced – even briefly – to a new idea or product, you start seeing it everywhere? In passing, a friend mentions a shampoo that you haven’t heard of. Then you see an ad for it as you’re tidying the tv room. And then – lo and behold – you notice it’s on display at your favorite department store. That’s the power of visibility and showing up regularly. Often humans must see or hear about something many times before we buy. The number of times we hear about it is important. The consistency of the look and feel of the messaging matters. In my article “Why Brand Visibility Matters,” we dive further into these ideas and apply them to scaling your brand. That repetition customers need to know, like, trust, and buy from you does take time, of course. Now normally I’m not a big believer in shortcuts. 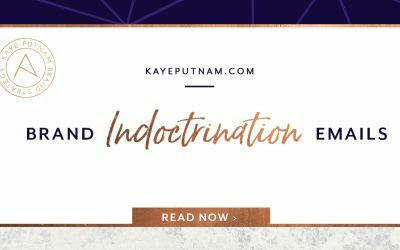 I’m a believer in taking the time to uncover your brand’s innate truths. 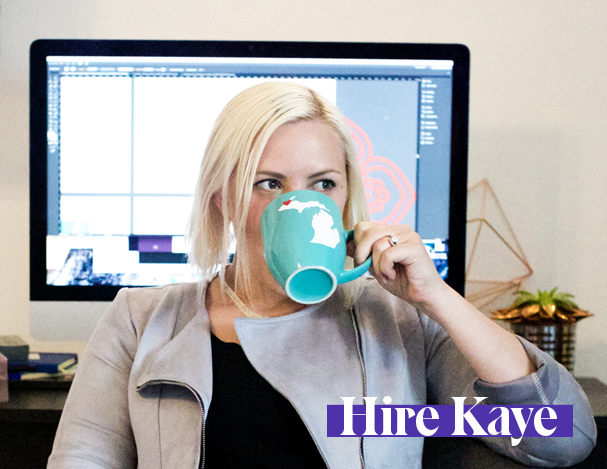 I’m all about thinking big, setting audacious goals, and working strategically toward them. I don’t believe in overnight success. So, what is this powerful shortcut? Engaging multiple senses, video is a highly emotional medium. If you’ve followed me for any time, you know I believe we must establish an emotional impact to successfully sell a product or service. Video incorporates music and evocative editing techniques. 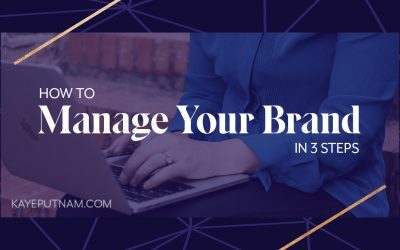 It can show the person behind the brand – a person they can see, hear, and quickly connect with. If your messages are hitting the right emotional buying triggers, viewers of video can be motivated sooner to take action. So video can be a hotwire to our emotions (all-important in sales). And to magnify that factor, the medium also keeps our attention for longer periods of time. A Wistia study revealed that people spend on average 2.6 times longer on webpages with video than those without. And videos on a landing page can decrease bounce rates and increase conversions by 80% or more, according to Eyeview Digital and Unbounce. The bottom line is this: The most successful brands know the power of video and are harnessing it. In fact, according to an Aberdeen Group study, marketers who use video grow revenue 49% faster than those without. You can also leverage this shortcut called video to grow and scale faster. But where do you start? What should you be talking about on video? So you may feel a bit angsty about creating video initially. I know I did when I first started. I’ve gotten a lot more comfortable with it, but that inner dialogue is still running in my mind right alongside the content I’m delivering. The key to getting into the video groove is simply to… just do it. Like with many challenges, getting and staying in action is where it’s at. Don’t be overwhelmed, because I have you covered. In this article, I’ve taken my thoughts on video and backed them up with some nerdy industry research (because you know I love me some statistics!) The results are my suggestions for five types of videos that you should incorporate into your marketing. 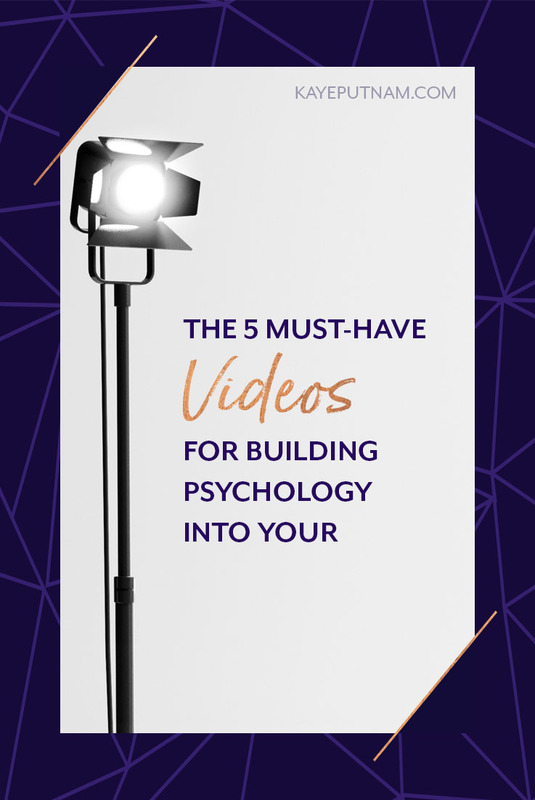 This will set you up with a killer plan of attack for incorporating video into your psychology-driven brand. 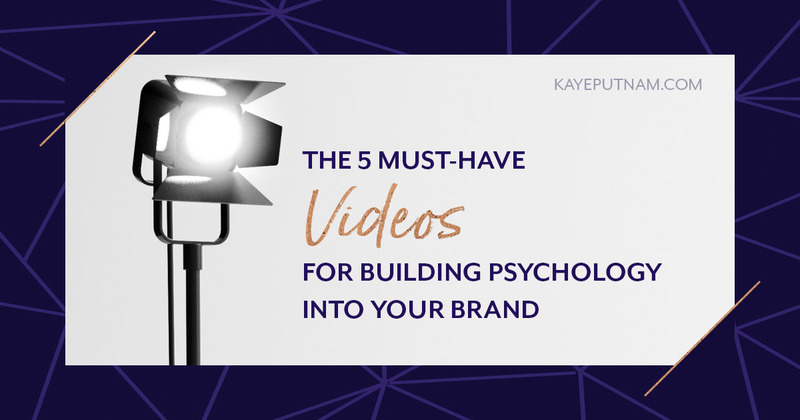 Okay, without further ado, here are five types of videos you can make for your brand. To really resonate with your viewers, you need to have content around something bigger than yourself… bigger than your brand. Offering some context for your service or product in the world adds depth to your message. This video could take the form of your origin story. Describe the path that led you to start your business or offer this product or service. Did you recognize a need that had gone unfilled until that point? Did you have a visceral experience or an “ah-ha” moment when you knew you needed to light out on your own? Your ideal customers – the ones you want to work with – will connect with your journey. It could also be a manifesto of sorts, describing a few of your core values. What do you believe to be true about the world? How do these beliefs go against the grain or differ from those of others? How have you incorporated those values into the way you do business? Another sub-type of this video could be an exploration of what I like to call your “brand utopia.” What if everyone bought your product or service? What would things look like? What impact, in turn, would your customers be able to have on their customers and in their spheres? Here’s an example, from the founders of Blue Buffalo Pet Food. In this video, you meet your clients where they are at right now. You show them you know exactly what their current struggles and opportunities look like. You then dive into each of their symptoms or pain points and demonstrate how you can help solve or resolve them. This video from the brilliant Marie Forleo takes a problem faced by many an entrepreneur… and not only solves it, but turns it into an opportunity. This is a juicy one! 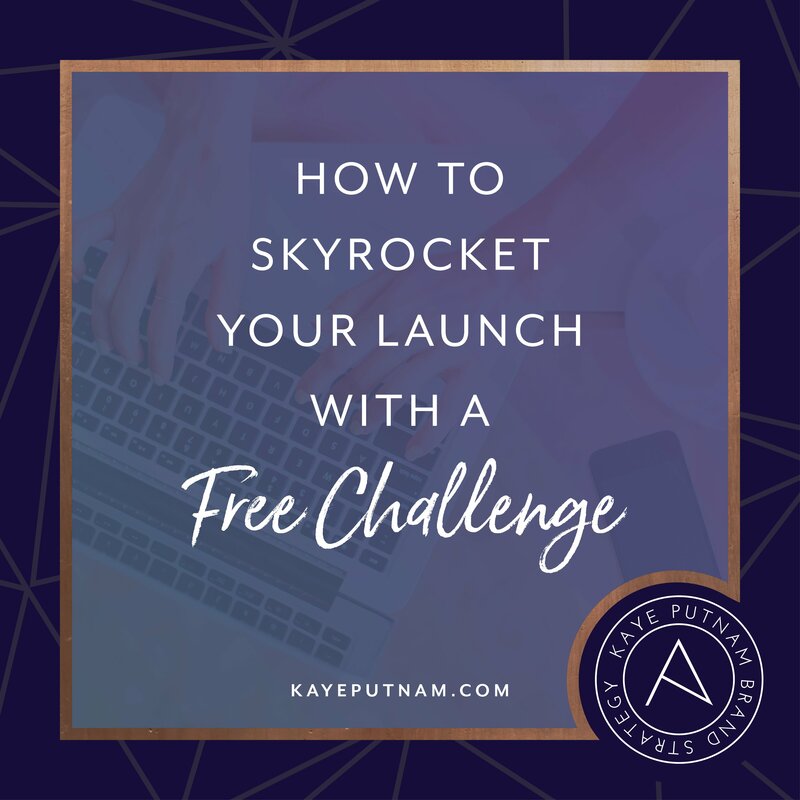 You might be offering a “behind the scenes peek” at your process, a step-by-step how-to guide. Or, an “unboxing” video that shows a client’s deliverables – and how you developed them. If there are any misconceptions that prospects commonly have about you or your industry, this is a chance to bust some myths. In this video, you are giving your ideal clients a chance to see your genius in action. This video is results-focused, and it’s a powerful credibility-builder. We like this one from Asana, in which they literally show us how to use their versatile platform for task management. Speaking of credibility, this video centers around a case study or a powerful testimonial. It’s the one where you leverage the social proof that a strong endorsement brings. Ideally, involve a client your viewer can relate to – who shares characteristics or challenges with your ideal audience. Ask him to describe the transformation that occurred through the work you did. What problems or challenges was he experiencing? How did your product or service help him resolve it? What additional – and perhaps unexpected – benefits is he seeing? How is he able to better function or excel in his business today because of your service or product? Have you ever stopped in your tracks because something on Youtube, Facebook, or TV was just so show-stopping that you had to take a moment? Maybe it was shocking, hilarious, or just so real. As marketers, we do have to face and acknowledge that there is a lot competing for the attention of our prospects. Using video is a great start to getting noticed. Creating something funny, outlandish, or wildly unique will also help you stand out. So, this is a video that is laugh-out-loud funny. (This could be a good place to incorporate a cartoon or an illustration to keep the video light.) Or, it presents a statement that is unpopular or potentially polarizing. This is the one that will get their attention. And it may possibly even go viral because people MUST share it – It’s simply *that* funny, striking, or different. 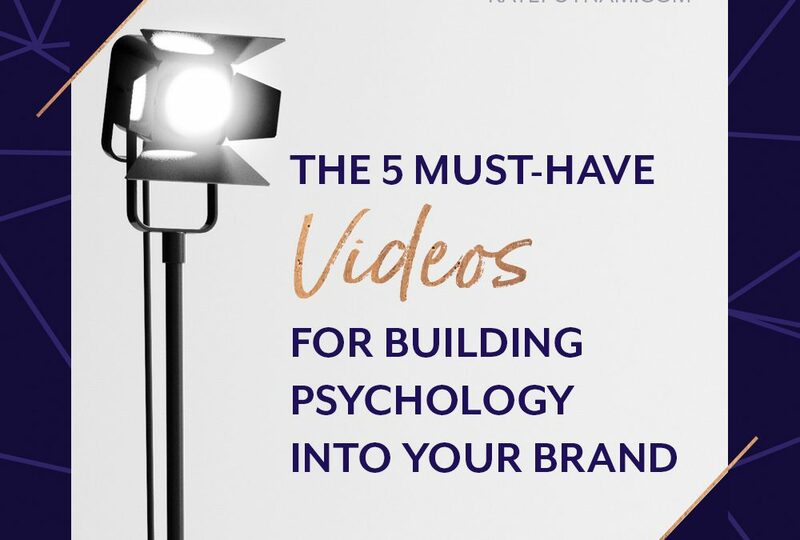 This type of video might not be easy to conceive – and it may not be the most common type you make – but if you get it right and it resonates, it could really pay off. Here’s a hilarious – and somewhat shocking – example from the laundry company Dropps. This one has been seen almost 100,000 times on Youtube – not bad for a family company with only 98 subscribers! So, now you have the guidelines for some types of videos to create. Once you’ve created them, how and where can you use video in your business? Video is widely used and well-loved by social media users. For example, Facebook algorithms are mysterious, but experts agree they favor video when it’s natively uploaded. In fact, over 8 billion videos or 100 million hours of videos are watched on Facebook every day, according to TechCrunch. And according to Twitter, tweets with videos are six times more likely to be retweeted than tweets with photos. Experts know for sure that video will boost traffic to your website and convert leads more effectively there, too. In one case study by Marketing Sherpa, infotech company Attivio achieved some notable results over a ten year period of including progressively more video on their website. According to Hubspot, the word “video” in an email subject line increases open rates by 19% and clickthrough rates by 65%. I’ve written before about how critical your customer experience is to scaling your business – and earning the right to charge premium prices. You can exceed customer expectations by giving them what they want – and one of those things is video. Over the years, I’ve done my fair share of experimenting with delegation in my business. I’ve come to know that documenting processes and standards for your team is one of the most critical factors in scaling success. By now, I hope I’ve convinced you (or reminded you) that video is important for your brand. But, juuuuust in case you still aren’t sure, I’ve saved the most impactful video statistic for last. According to this white paper from Cisco, video is predicted to account for 82 percent of all consumer Internet traffic by 2021. (That will be a 73 percent increase over 2016.) Ummm, where is that new “Mind. Blown.” emoji? The visual of your last line made me LOL. Thank you! And thanks for the *mind blown* post, too. LOVE all of these ideas! Just what I need in this season…I’m in! This takes the confusion out of video content and aligning it with our brand. Thank you! I am in. Nice list you got there. I agree that the videos keep the attention of people for a very long time. Thank you so much for sharing this. Thank you for the informative article, really enjoyed it. And I totally agree that visuals attract more than text or images. It keeps one engaged in it. Also more the attractive visual, more the brand building.